Jersey murder trial after family deaths Jump to media player The trial of the man accused of murdering his family in a knife attack in Jersey has begun. 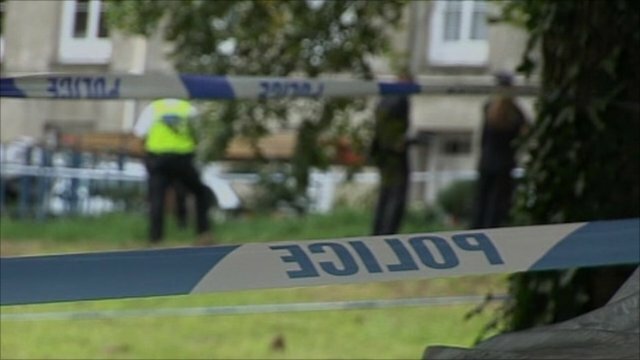 Jersey murder inquiry into six deaths Jump to media player Six people, including three children, have been killed in a knife attack on the island of Jersey. A man accused of murdering six people, including his wife and two young children in Jersey, has appeared in court. Damian Rzeszowski, 31, from Poland faces six charges of murder at the Jersey Royal Court. The trial is expected to last for up to two weeks.